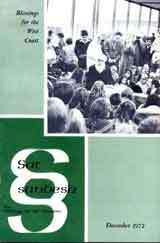 During the lifetime of Master Kirpal Singh, His talks used to be recorded in tapes and then some of them found space in the monthly magazine called Sat Sandesh which was simultaneously published in Hindi and Urdu originating from 1954 to 1974. It was a very cumbersome and difficult task to procure this old record. As many as about 20 Sat Sandesh pertaining to different months, had to be converted in Hindi Devnagri script from Urdu Arabian script putting very hard labour and efforts and the work was finally accomplished, however, with the kind Grace of our Beloved Master. After this, the whole matter of around 4000 pages had to be scanned page by page, which was itself a labourious job finilised only with His Grace. From our side, we tried our best to set the things in proper order and also vow to continue to update the same from time to time, however, being human, some deficiencies might have remained, for which we take our full responsibility and request the seekers to bring such deficiencies to our notice. We shall feel highly grateful to the Master for our efforts being fruitful, if this presentation has been successful to ignite even a little latent flame of love towards the Master. In the table given bleow only the months shown in bold have the matter relating to them and in case of months shown in normal font, either there was no magazine printed during the relevent month or that had the Satsang similar to some other month. Files are in the Adobe PDF format and require a copy of Adobe's Acrobat Reader (free download at www.adobe.com) to view them. Each month is a separate file and is approximately 10-50Mb in size. Simply right clicking on a link will open the file in the Acrobat reader and later you can save the file to your hard drive. Or you can initially use the "save link as" or "save target as" option to save the file to your hard drive, then view it later.